Takeaway orders are profitable for most QSR's, restaurants, & coffee chains. Our product offerings for takeaway boxes include sandwich boxes, wrap boxes, cake boxes, dessert boxes etc. We believe life is like a sandwich, layers of toil (veggies), a little bit of spice ( chilies), dollops of opportunities( cream & mayo), and a huge chunk of love( cheese). 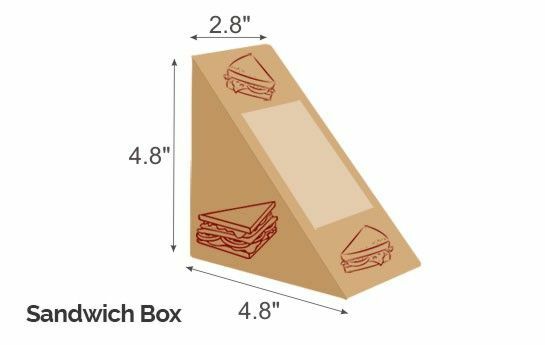 Make your sandwich takeaway boxes, the box of happiness for your customers. Personalize it with your brand logos, store locations, hotline numbers, food trivia and more. And make them your brand rep.